If you want to test the Internet speed on a server or you simply want to avoid the speedtest.net Flash interface, you can use speedtest-cli, a command line tool for testing Internet bandwidth. speedtest-cli tests your Internet speed using the popular speedtest.net website and it supports listing servers sorted by distance, testing against a specific server, you can use it with a Speedtest Mini server and it can even generate and provide a URL to the speedtest.net share results image. 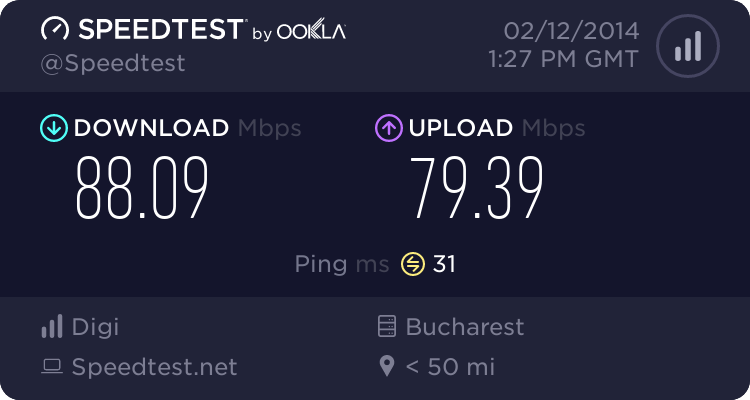 For other ways of installing speedtest-cli, see its GitHub page. 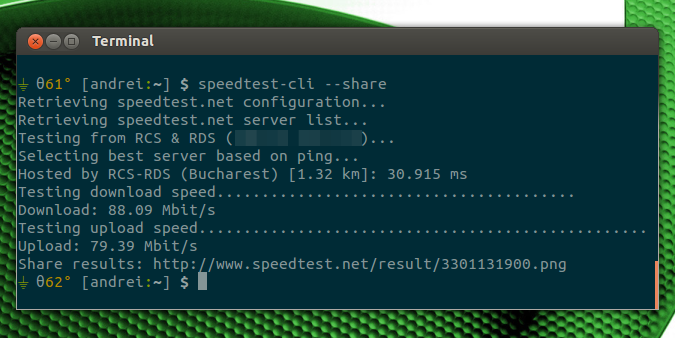 "speedtest" also works for the command instead of "speedtest-cli" (if you've installed the tool using Python Pip). So below I'll use the shorter command, "speedtest".